A major U.S. publishing company rejected a request by the Japanese government to change passages in a history textbook about women who were forced to serve in Japanese military brothels during World War II. “Scholars are aligned behind the historical fact of ‘comfort women,’ and we unequivocally stand behind the writing, research and presentation of our authors,” it said. Japan’s foreign ministry acknowledged it had contacted McGraw-Hill in mid-December through its consulate in the U.S. to ask for the changes to the textbook. It said in a statement that the text included “grave errors and descriptions that conflict with our nation’s stance,” but didn’t cite the errors. The request was the latest effort by Prime Minister Shinzo Abe and his conservative government to revive patriotism at home and burnish Japan’s image overseas by toning down negative depictions of its wartime activities. It also comes as Japan and South Korea explore ways to mend ties strained by disputes over wartime history and maritime territory ahead of the 70th anniversary of the end of World War II this year. Japan added ¥50 billion ($427 million) to its budget this year to promote global understanding of the country, including its positions on wartime history and territorial disputes. Of the total, ¥4.3 billion is for communicating its message, including strengthening its ability to analyze and respond to global opinion. An additional ¥7.7 billion will go toward nurturing Japan-friendly academics by supporting Japan studies programs at universities and think tanks. The total allocation to public relations and cultural exchanges under the foreign ministry more than tripled from the previous year, while its overall budget grew by 2.9%. The textbook, written by historians Jerry Bentley and Herbert Ziegler, contain two paragraphs on comfort women, who were coerced into servitude in Japanese military brothels in the 1930s and 1940s. Many of them were Korean. “The Japanese army forcibly recruited, conscripted, and dragooned as many as 200,000 women aged 14 to 20 to serve in military brothels, called ‘comfort houses,’” it says. Prof. Ziegler, an associate professor at the University of Hawaii at Manoa, said in an email that he wrote the section on comfort women. “And, yes, the publisher and I have been contacted separately by representatives of the Japanese government, essentially requesting some sort of revision of the offending narrative. Neither the publisher nor I entertain any such notion,” he said. Since Mr. Abe returned to power in December 2012, the government has pressed forward with an overhaul of the nation’s education system meant to instill national pride among Japanese children. It has also revised teaching manuals for middle schools and high schools to emphasize Japan’s territorial claims. It is rare for Japan to request a revision to a foreign textbook. Such moves have been met with strong criticism from South Korea and China, which view Mr. Abe’s agenda with skepticism and still harbor deep resentment over Japan’s military past. 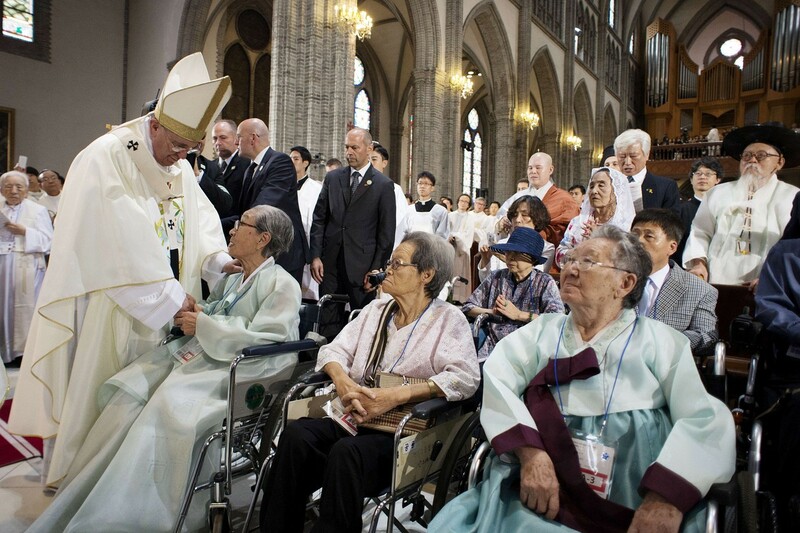 Seoul has sought a new formal apology from Japan, as well as state-funded compensation for comfort women. Japan has maintained that the issue of compensation was settled in a 1965 bilateral agreement. It says it intends to stick to past apologies and statements made by former leaders, notably the 1993 Kono statement that acknowledged for the first time that the military was involved in establishing brothels across Asia, including through the “coaxing” and “coercion” of young women. How can you maintain baseless hoaxes and fabrications created for Korean anti-Japan defamation campaign on your textbooks? Americans are fools.